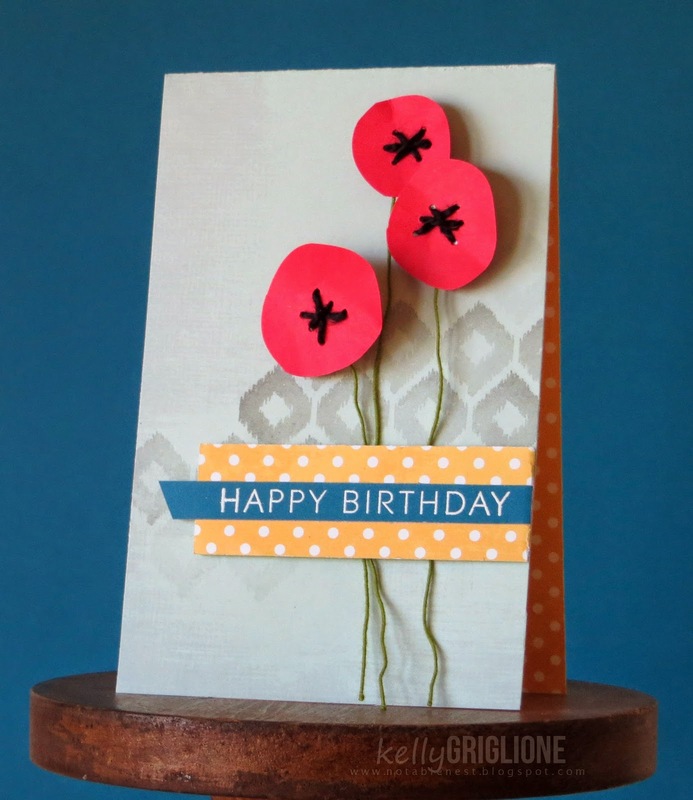 I just couldn't help joining the Papertrey April Blog Hop, being so charmed by the simple red poppies with the black stitched centers. 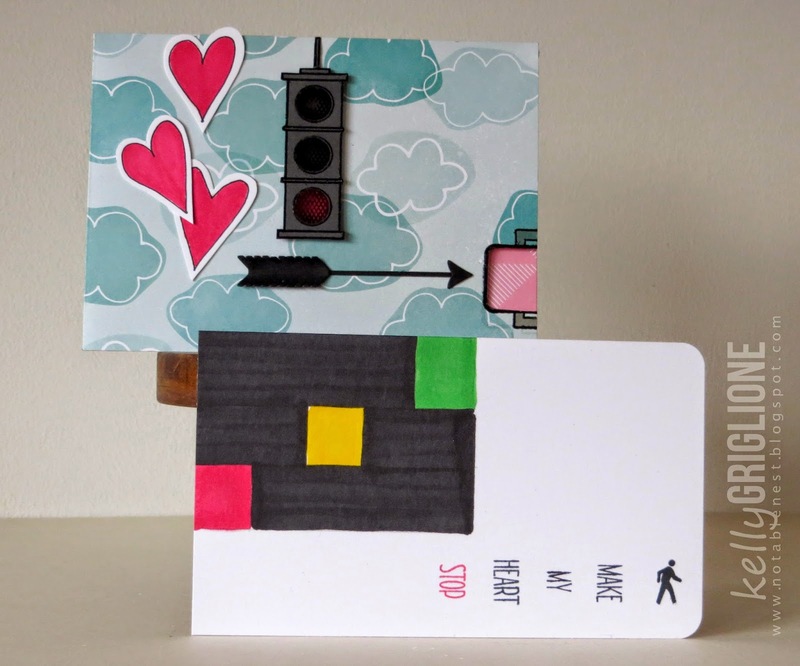 A lightening quick card for me, and a quick post. 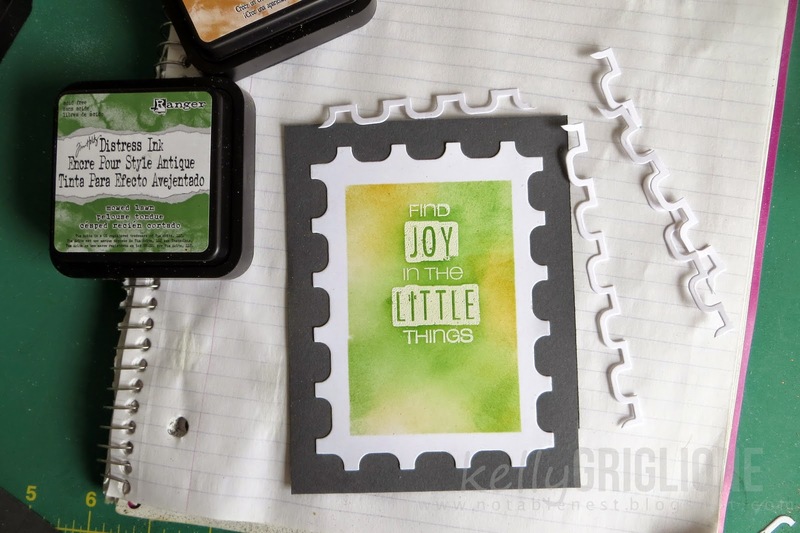 Sentiment is from Papertrey, as is the Irresistibly Ikat background in gray. Off to volunteer at Science Club, then to my son's first baseball game of the season. Good times! 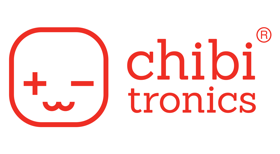 CFC #131 - Anyone Still Use a Cricut?!? Hi folks! Here's a challenge that could lead to all sorts of different possibilities ... use three of something on just one third of your card front. Right?! Fun! 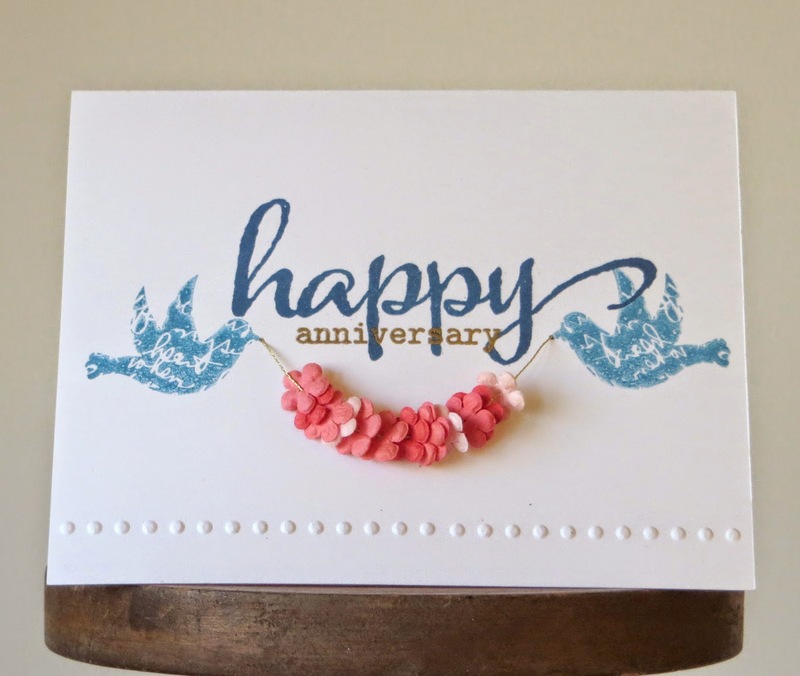 The winner of this challenge will get a fabulous prize from Loves Rubber Stamps and will also be featured in a post on CAS-ual Fridays Stamps. 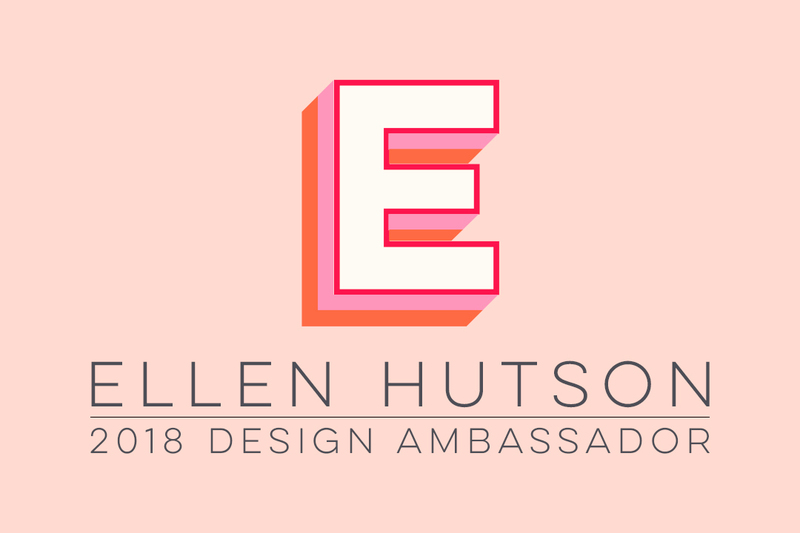 Runners up will receive a stamp or die set of their choice from CAS-ual Fridays Stamps! My favorite, double-sided AC Lucky Charm paper make up the top two thirds of the ball. The bottom third is where I used my three items ... a sentiment (from Woot, Woot) stamped three times, and three letter dies for "one". The letters are extra thick because I had problems making up my mind. Originally, I had orange letters for a tone-on-tone look, but the ball looked a little top heavy. So I put the blue letters on top, and kinda liked how it was thicker and outlined a little. The ball originally had four sections, but that wouldn't really do for a challenge using thirds. So I had to cut the third and forth section and make them into one larger section. 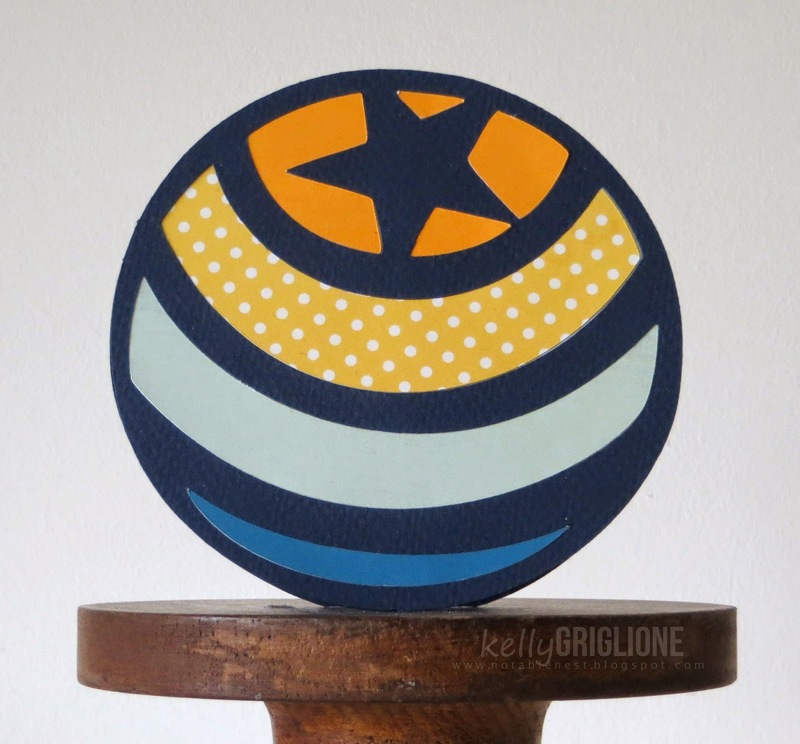 I have to say I like these colors together, but the ball in thirds is nice because it has room for a sentiment. I'll probably put some dymo label sentiments on this four-section-ball when it's time to be used. A third Fusion in a row for me! 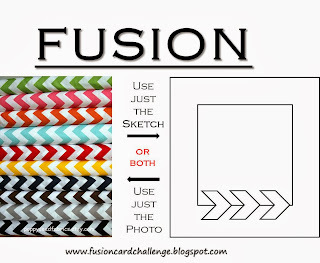 I immediately thought of my favorite paper straws when I saw the Fusion Challenge photo, but I only have the red and white stripe straws. 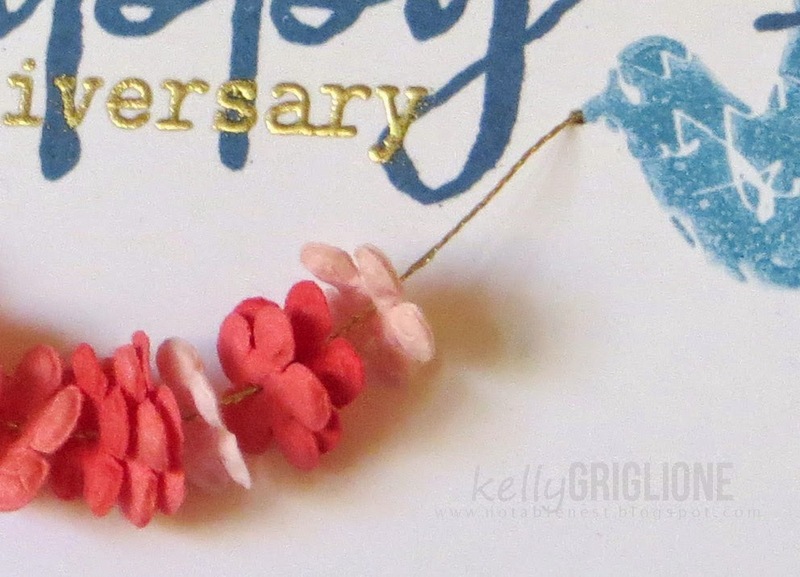 In order to incorporate some of the other fun colors from the photo, I used crystal beads (which I never use on cards since they're bulky, but hey, I've already got the paper straws on there!) I only had clear crystal beads, so I used alcohol markers to change their colors. Since the beads are just about as wide as the paper straws, they looked a little lost. I added the flowers on both sides of the bead. The rectangle that I cut from the middle of the card is framed with 1/8th" strips with mitered corners. Initially I used string to thread the straws and beads, but I found there was still a little give to the thread, and they sagged. Using wire helps combat this. I was so happy with the straw/flower/bead combo, that I thought it needed to be used for something else. 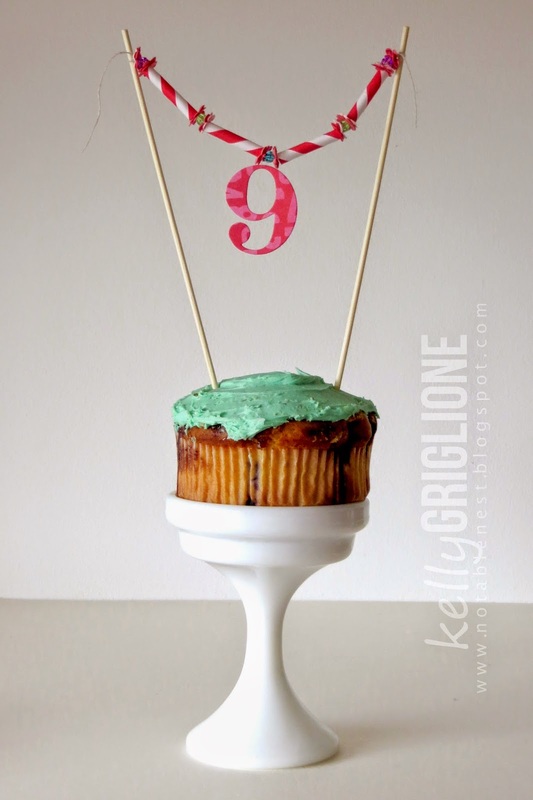 It looked so festive, that a cupcake or cake topper came to mind. 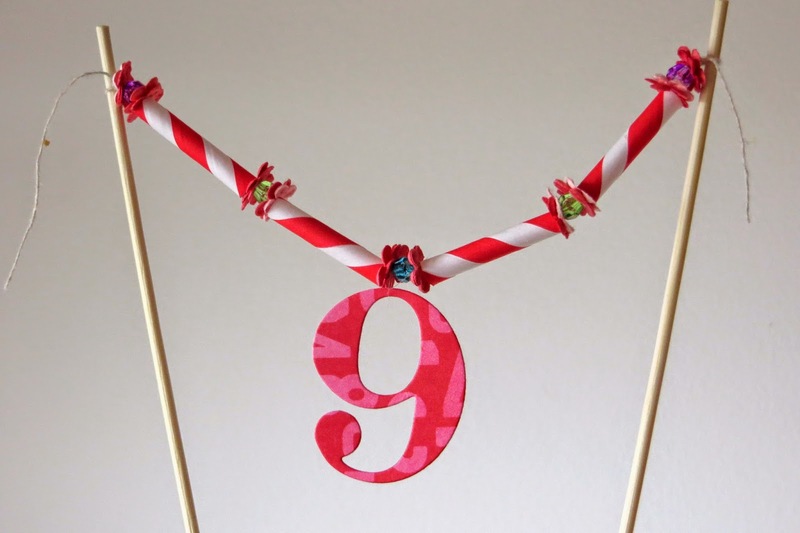 A number hanging from the middle is all you need to customize it for the birthday boy or girl's age. I think this would be great for celebrating on the actual birthday, when you're saving the big cake for the birthday party. Still fun and special! Hi folks! For those who celebrate, I hope you had a wonderful Easter weekend! 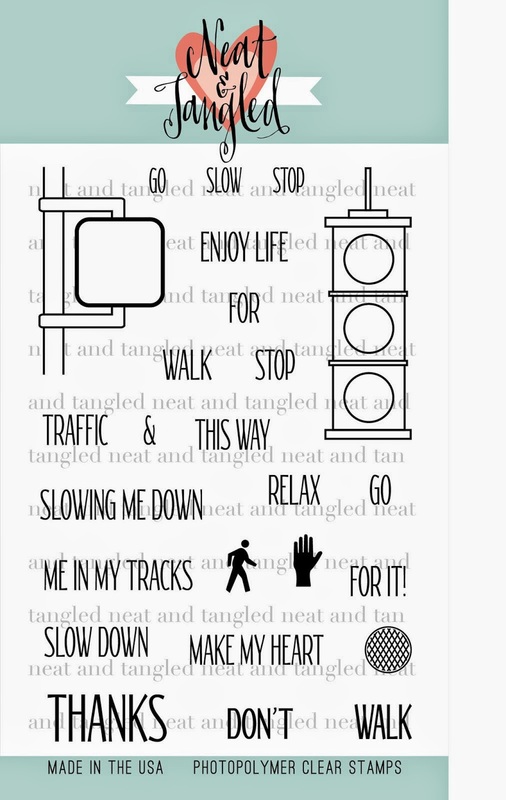 Miriam's new Stop and Go stamp set from Neat & Tangled. She did an awesome job designing these versatile stamps. 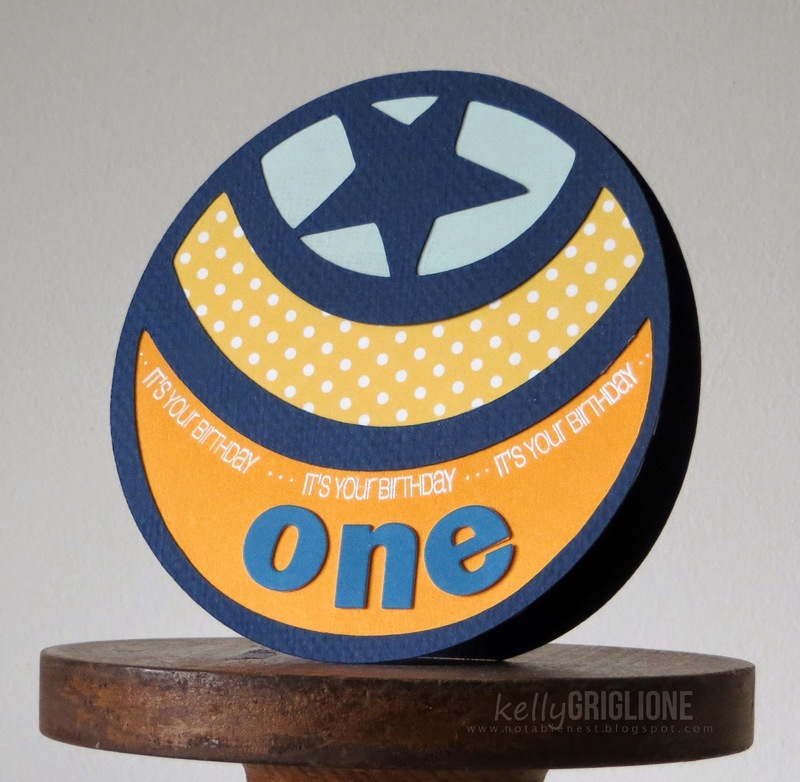 What a fun set of stamps to play around with ... there are just so many possibilities! 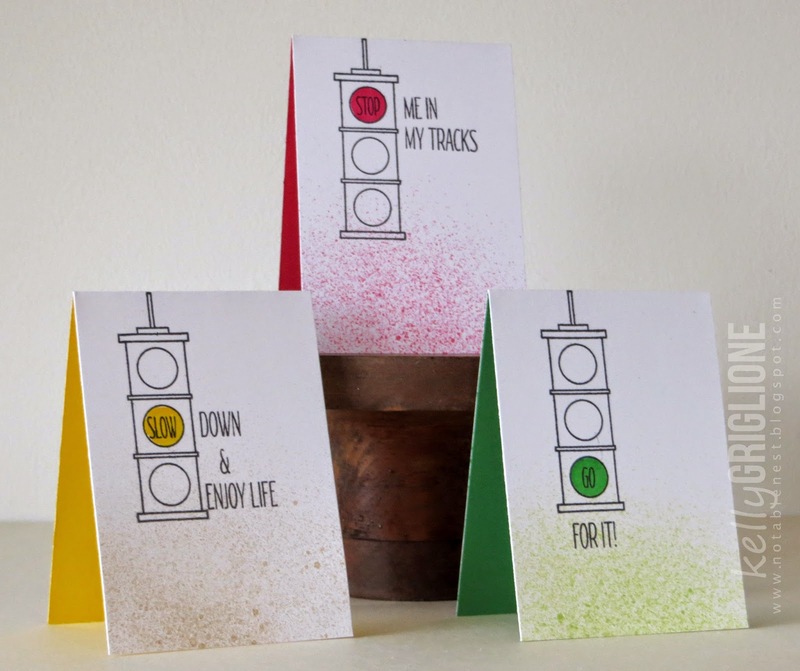 Here's a cute note card set, using each position on the stoplight. Corresponding ink from Heidi Swapp is sprayed on the bottom of the card, and corresponding paper is inside the card. How fun and easy would this be to give someone as a little gift set? 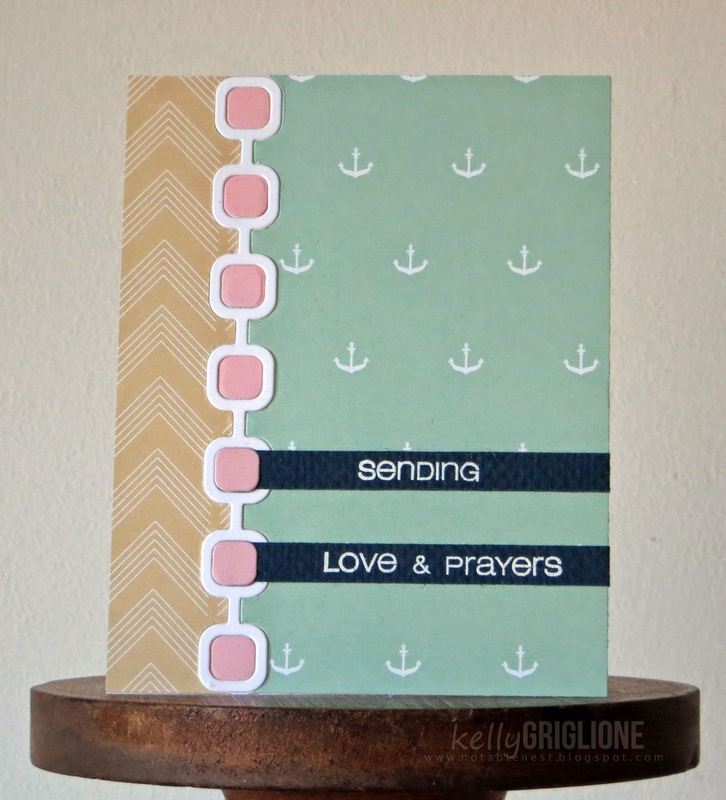 This card uses only the "thanks" stamp and the mesh light cover stamp. I cut out the inside of the light cover stamp on a separate piece of paper to use as a stencil, blended some ink, and then stamped with the same colored ink slightly offset from the solid circle. The whole panel is a diagonal strip. You could use any color scheme, any occasion with this design. 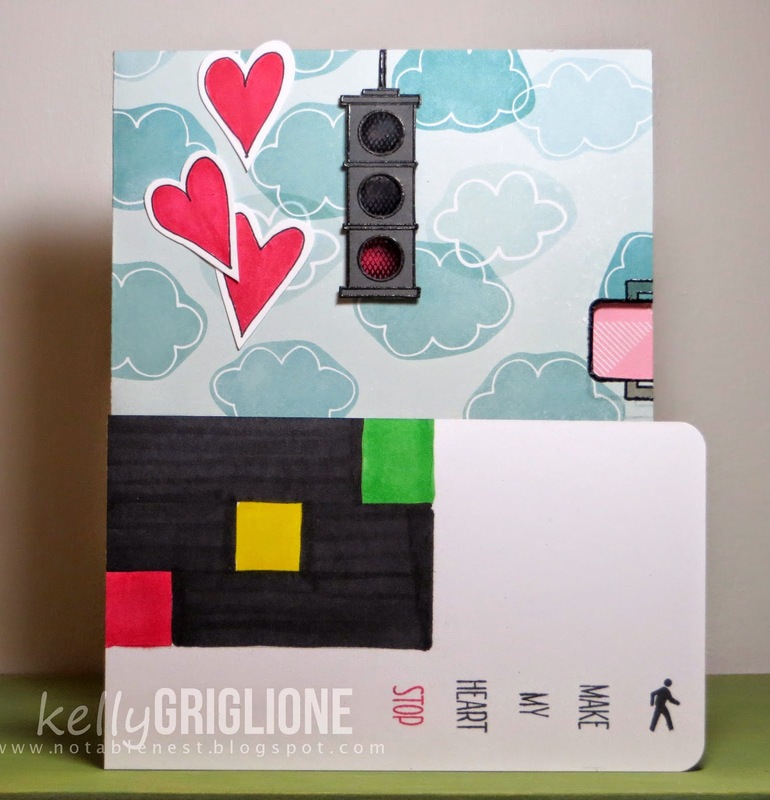 The last card uses the stoplight stamp and the cross walk stamp. 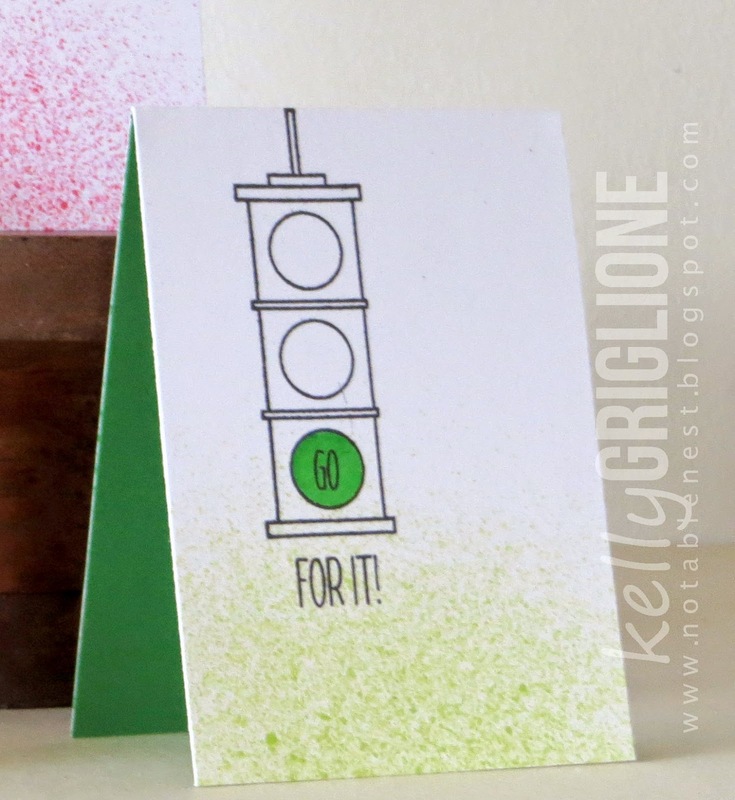 Love the stoplight stamp embossed in black on charcoal cardstock. Then when you add the mesh light covers stamped on acetate, it really comes to life! The hearts are hand drawn, and the arrow die is from My Favorite Things. The sentiment "you make my heart stop" ends in a red "stop" which is also the last light on the stoplight. Here's a peek at what the inside panel looks like. You can get a better idea of the black pauses between the different colors. Also, the sentiments had to be positioned completely below the changing light colors so they wouldn't show through the stop light. Lots of planning on this one. Now for the fun part ... there are two chances for you to win this awesome stamp set, and you just need to comment by Saturday, April 26th to enter. One winner will be picked from the Neat & Tangled post, and one winner from all the hop locations. 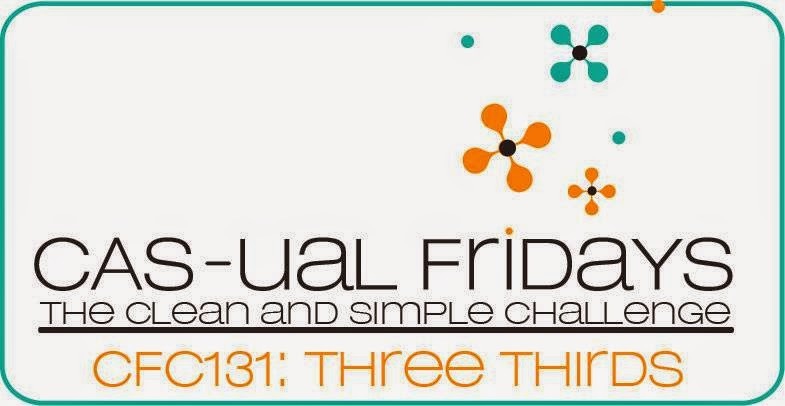 Did you know the CAS-ual Fridays Linked die also makes a pretty cool postage stamp? It takes a little bit of planning, but I think it's worth it. I cut a white panel 3/8" shorter than my card base. Starting with the two long sides, center the die (important!) and line up the top edge of the die's squares with the edge of the panel. Then do the same for the shorter sides. You'll have 4 links now. Cut along the portion of the link that extends beyond the center line. For the stamp panel itself, I cut a rectangle out of copy paper and used it as a mask so I could sponge a solid area. The stamp edges are then glued in around the stamp. If you centered the die on the short and long sides, it will magically fit together in the corners like this. On the slightly bumpy right side you can see where the rest of the square links extended to the left. Here you can also see how the stamp is one layer, just like it would be in real life. 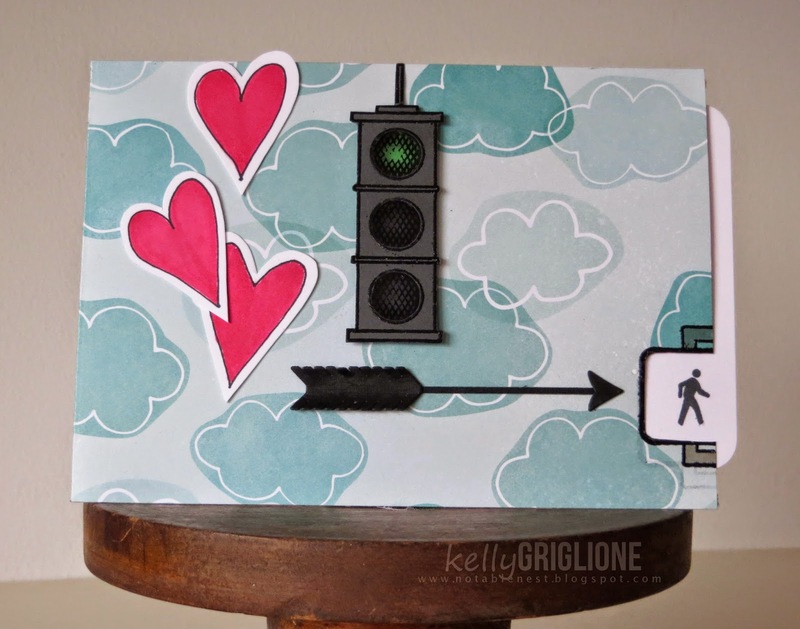 This card is hanging out over at the CAS-ual Fridays Stamps blog today. If I don't get to catch you before the weekend, I hope you and your family have a wonderful Easter! Hi all! It's a second Fusion in a row for me. 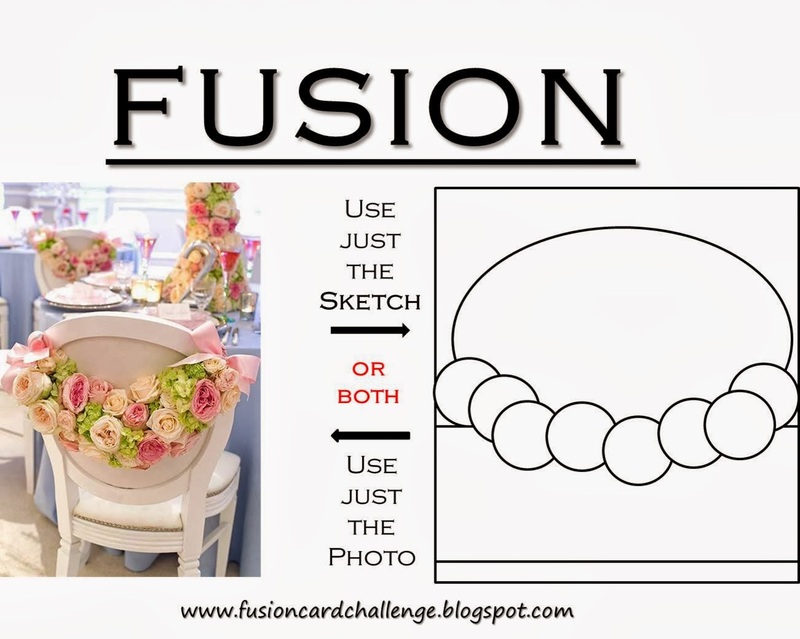 I pulled the colors (pink flowers, blue table cloths) and flower swag from the photo, and the overall oval shape and lower line from the sketch. The bird is from winnie & walter You've Got Love Mail. I say "bird" because there is only one. To get the second bird in reverse, I stamped it on an old, solid rectangle rubber stamp that was made for this reversing purpose, then stamped it on the card. The "normal" bird image I had to stamp off first to match the intensity of the reversed bird. Also, after learning the hard way, it is important to stamp the reversed image FIRST since it's on the very NON-transparent wood block rubber stamp. Then use the clear stamp so you can position it appropriately. The prima flowers are strung loosely on gold thread, and pulled through a hole in the bird's beak. I had a helper in my craft room when I made this card. It's cute (to me, at least!) when my 6 year old sees a card that I've finished and wants to CASE it. It starts off similar (you can see the two birds, and flowers strung between the beaks) but quite often takes several creative departures. Jackson adds a lot more excitement to his card in the end. I can tell when he really likes a project he's made. It gets a very high price tag in his card shop. His favorite piece is a frame he made for a picture of him and his brother ... priced at a cool $5,000! We have some sad news and happy news for this challenge. The sad news is that Geri Freeman will be leaving us. I ALWAYS looked forward to see what magic Geri was going to work for the challenge, and I can't lie, I was really bummed when I heard the news. We'll miss you, Geri!! On a happier note, we are all very excited to have Jeanne Jachna join us. Go check her out if you haven't already, she's got quite a flair! Here's the last die set for this month's CAS-ual Fridays Stamps release. 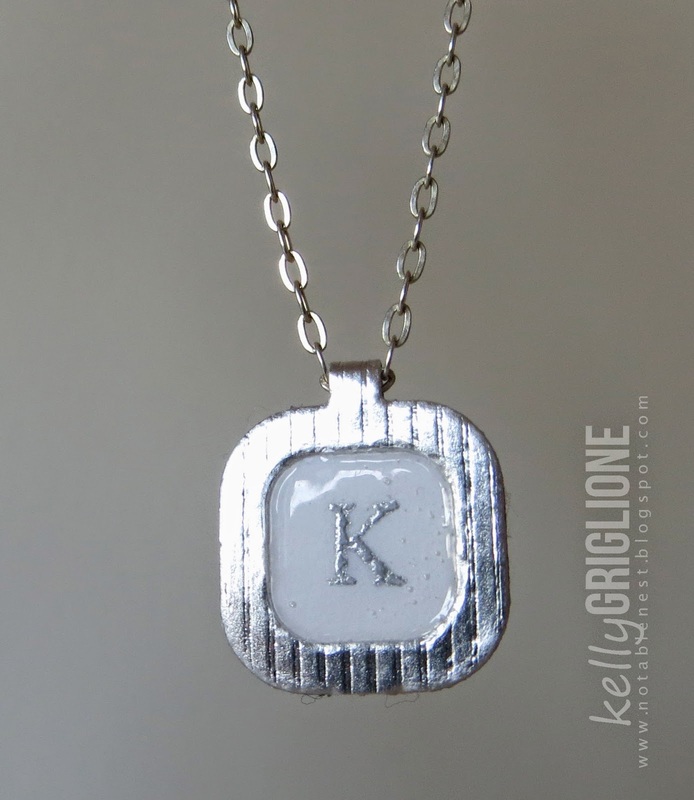 This one coordinates with Casual Elegance where the sentiment is also from. Here I just used the die by itself. Stacking them in alternating directions breaks up the pattern and gives a nice texture. 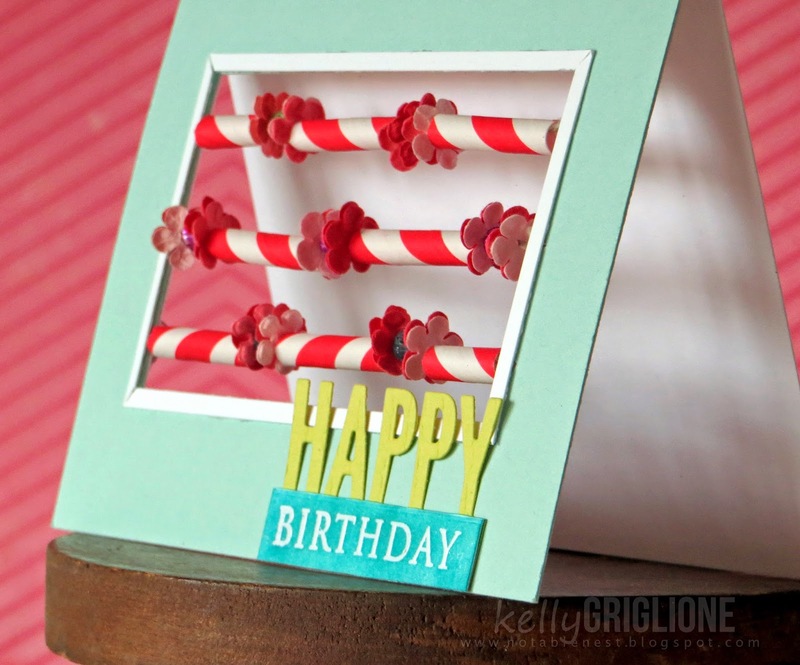 You could use this simple look with any sort of card, really. Tomorrow all three dies go on sale at CAS-ual Fridays Stamps! 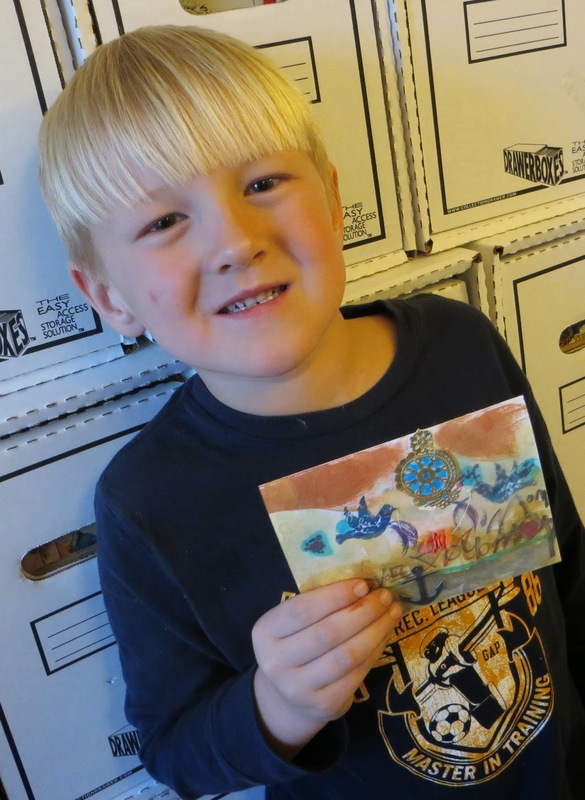 More inspiration waits for you with the rest of the CAS-ual Fridays Stamps Design Team. 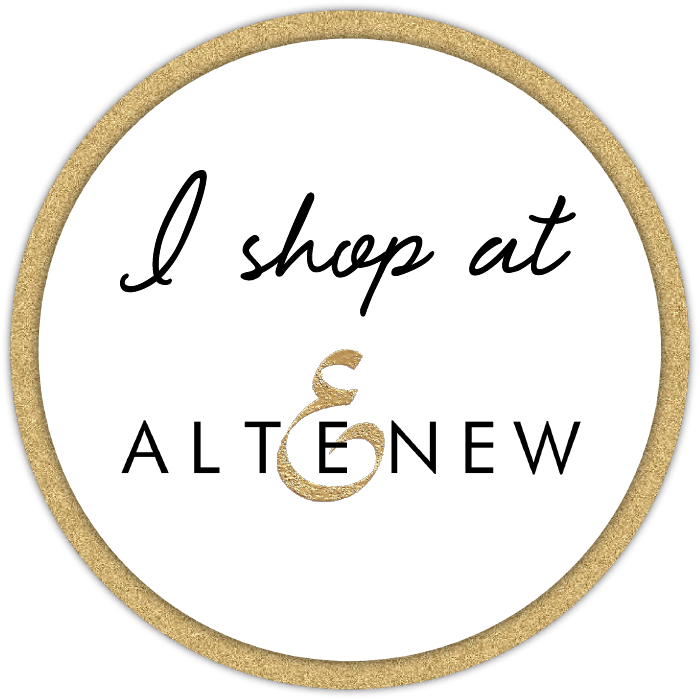 Don't forget to stop by the blog and leave a comment on each day's post, as one lucky winner will receive ALL THREE SETS!! Hi folks! We've got another set of dies here for CAS-ual Fridays, and this one features two linked chain dies. You may recognize it from a prior set. It coordinates with Lotsa Links so you can stamp on the die, or just use the die itself like I have here. This die is a great length to span the height of a card. 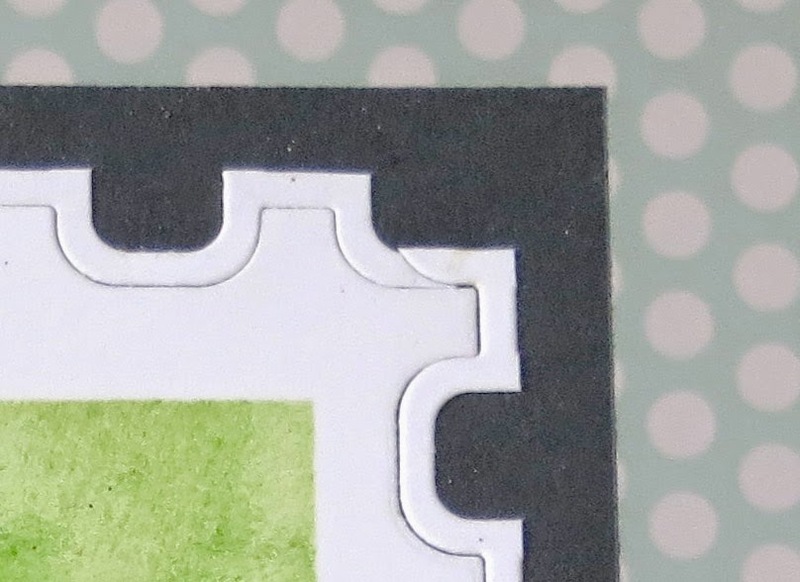 On this card, it's inset between the two different patterned papers. The sentiment is from Casual Comfort. 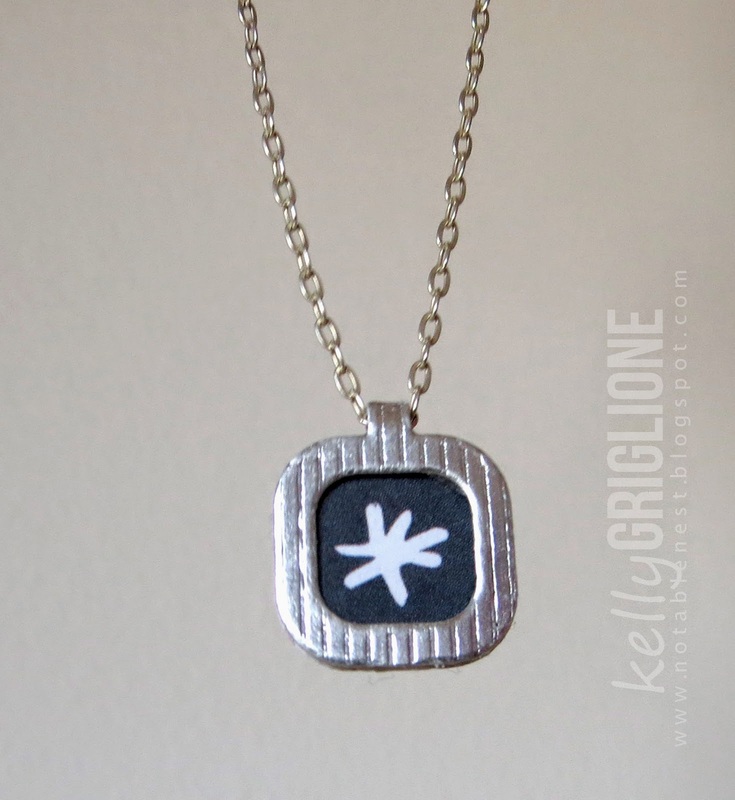 Here's the back of the necklace. The asterisk is from a Dear Lizzy patterned paper. I like using good, quality paper when die cutting so you get those nice rounded edges. Hi folks! We have a die-nomite release for CAS-ual Fridays this month! Just wait until you see all the dies, and how they coordinate with existing stamp sets. 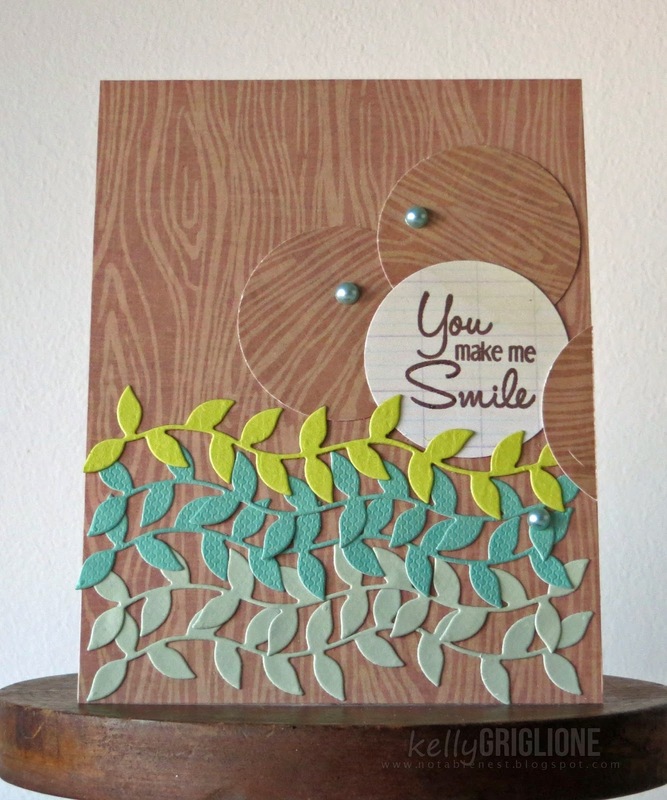 Today's set of dies coordinates with the graphically floral Beanstalks stamp set. This card is similar to another I made when Beanstalks first came out. 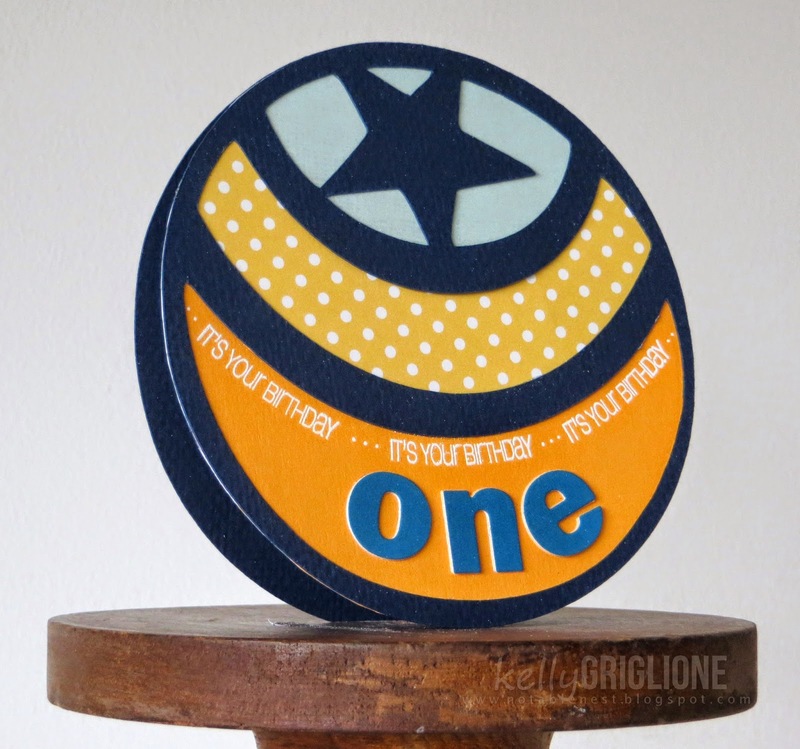 I liked that stamped version, but this die cut version here was SO much easier to make. The sentiment is from WTF. I challenged myself to use something other than white or a metallic embossing powder for the sentiment, and I'm happy with how powder blue turned out. 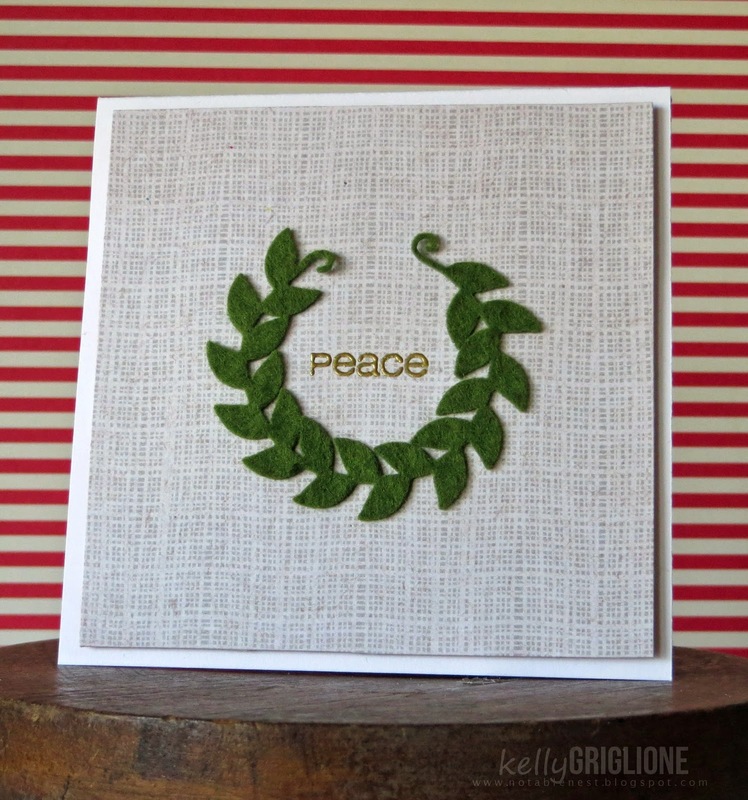 The other die in this set is long and straight ... perfect for manipulating : ) Although it looked pretty neat in paper, I ended up using felt to make this laurel wreath since it bends without creases. The dainty curly-ques at the ends are so charming! The sentiment is from Casual Comfort, a set with sentiments that I've been using a lot recently. Hi all! We had an amazing 10 day road trip for Spring Break. 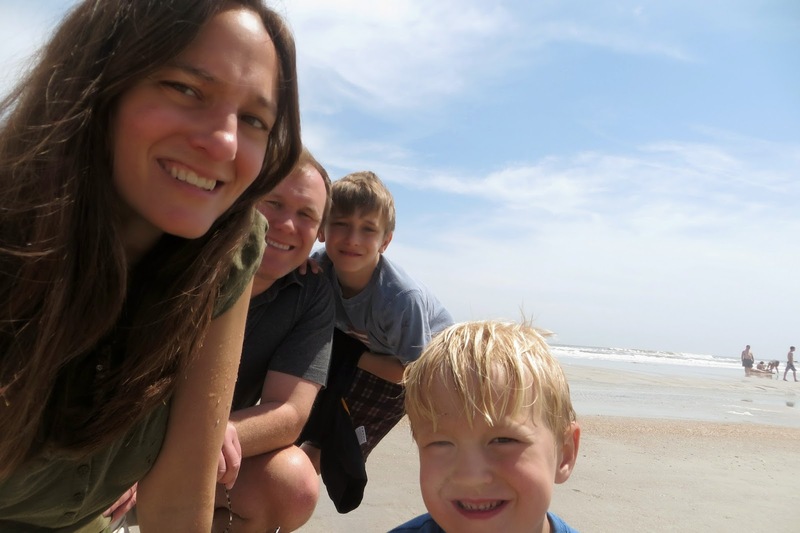 The absolutely dreadful weather this winter motivated us to take our first ever Spring Break vacation as a family (I am not a patient person, and dislike navigating through crowds, so we usually avoid traveling at this time of year). We drove about 20 hours from Chicago to Orlando. Went to Walmart, cleared the snack aisle, and loaded up the car with food and entertainment. We saw a few "things." ... late as in we're-the-last-ones-in-the-parking-lot late. Made crazy spur of the moment purchases, like an 8 foot inflatable shark. How I chuckled walking behind them, going through the fancy lobby with this creature, and then the elevator. It lived standing upright in our bathtub, and startled me several times throughout the rest of the week. 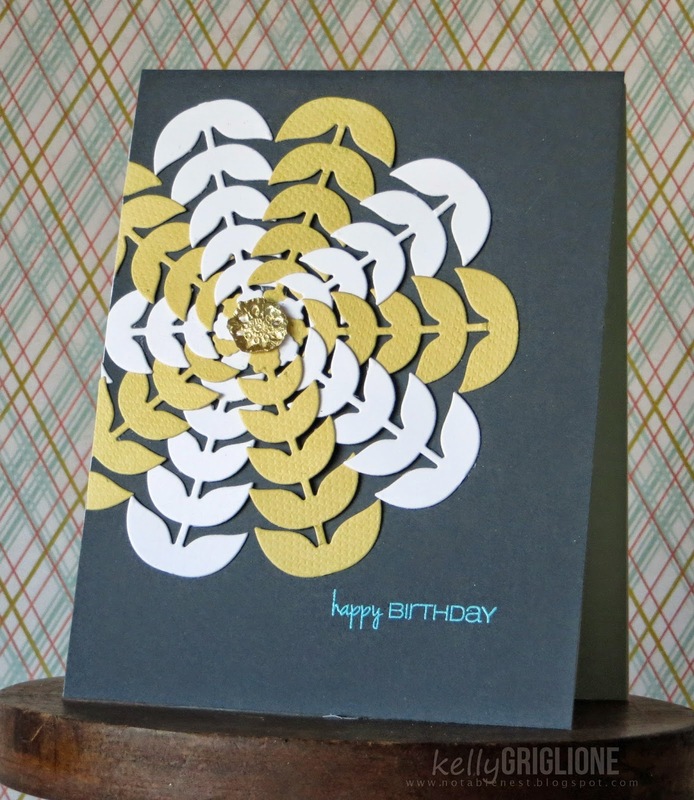 ... and, right in the middle of it all, I got the amazing news that one of my cards was picked for Stamping Royalty! 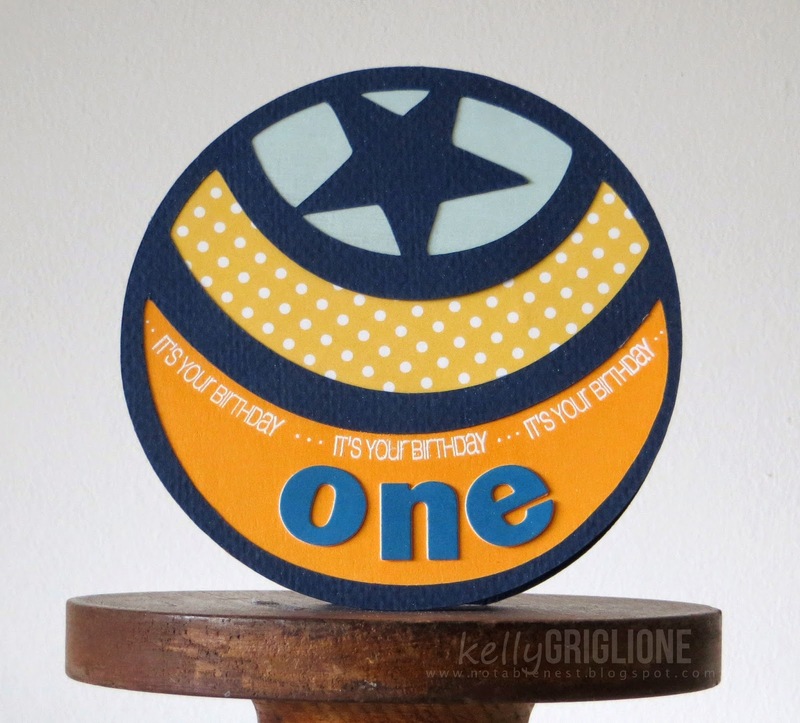 We had a no-screen-rule for the whole 10 days, and I broke it just once to check email on Friday night on the wild and crazy chance that there was an email from the folks at Paper Crafts & Scrapbooking. Imagine my surprise when there was! SO excited, folks!! 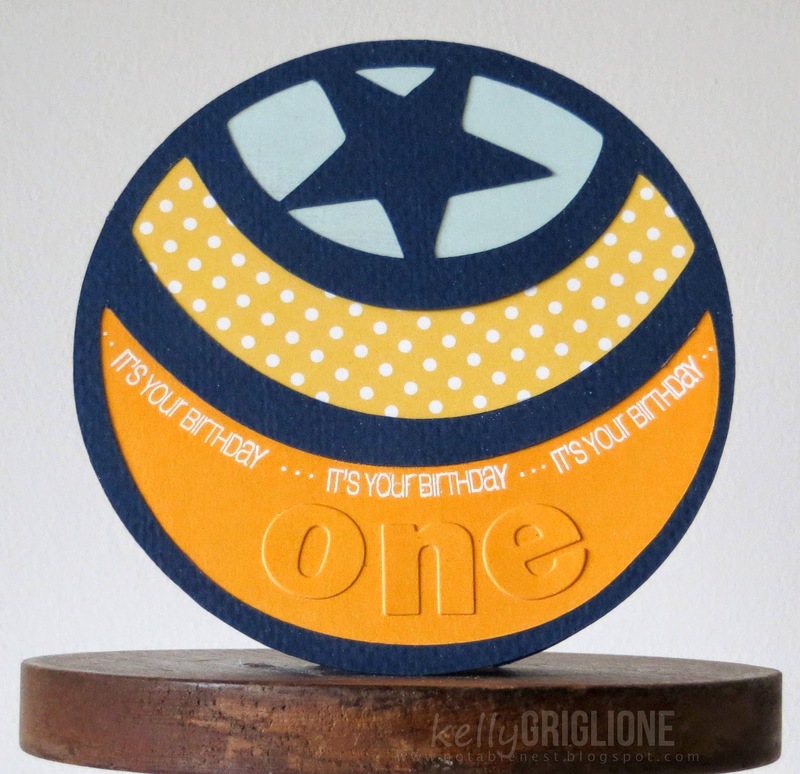 All the winning cards will be in the July issue of Paper Crafts & Scrapbooking. I thought I'd share one of the two others that I sent in. 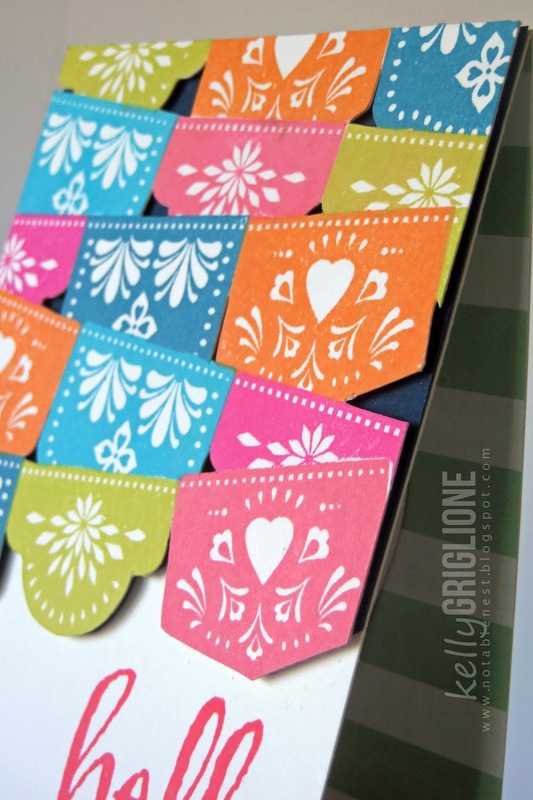 I wanted to use the Papel Picado Banners from Avery Elle. I masked them all in a swagging pattern across the card. With an exacto, I cut out the middle pieces so the midnight sky behind it would show through. Then popped the panel up. The inside is lined with AC Lucky Charm paper, and the sentiment is the wildly popular winnie & walter the Big, the Bold and the Happy.